Sodas, coffee, teas, blends of high octane water favorites. All your favorites, and more. From bottles and cans, to fountain drinks. Your thirst has met its match as Ana’s. Grab a sandwich and your favorite beverage, with a snack and enjoy. Coffee you asked for. At Ana’s we aim to please. 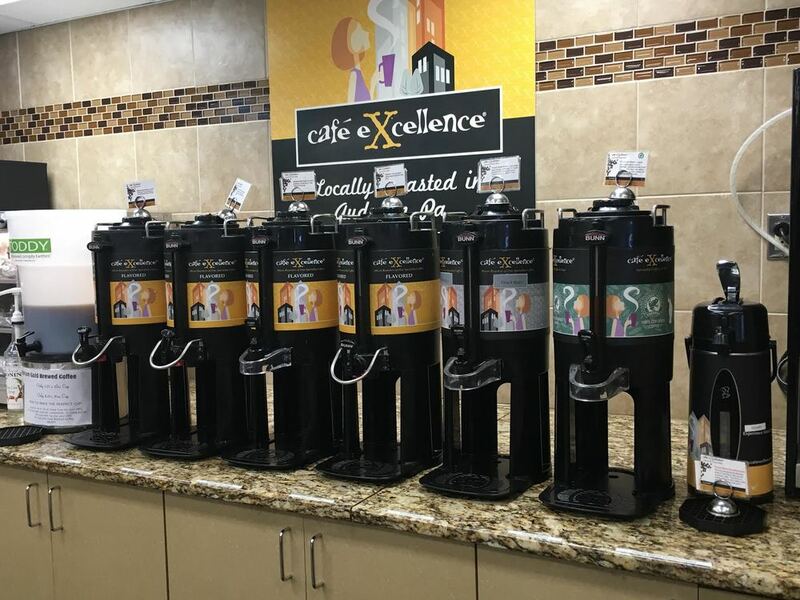 6 different hot brews, plain or fancy we have all flavor profiles to make your day just perfect. Cold iced coffees. Come enjoy the newest of new. Cold brewing now available. Yes, cold brewing. This coffee that starts with a new process. Not tossing ice over hot coffee to make it cold, this process starts with cold brewed flavor, fix it any what you like and (add) ice, if you like. Come in, try it. You’ll love the taste of cold brewed coffee.